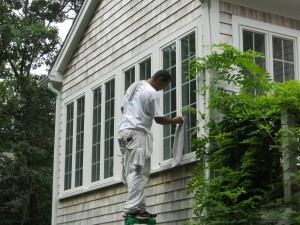 Our residential window cleaning services can help you to keep your residential property looking at its best year round. Based in Hyannis, our staff will travel anywhere on the Cape, the Islands and the South Shore to service your needs. 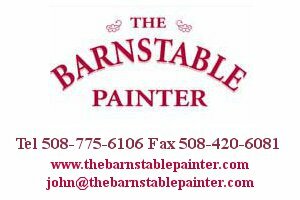 Please call 508-771-9274 for a quote right away. We’re here year-round and we will be happy to put you on our regular schedule. We use only Unger Window Cleaning Products. Our Professional quality Glass Cleaner is a liquid window cleaner that leaves behind a smooth surface for squeegees to glide across with ease. It’s is biodegradable, skin friendly, and non-toxic. 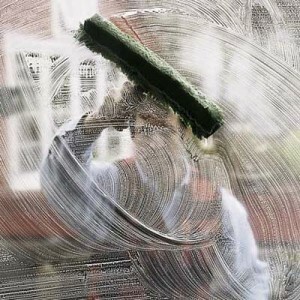 Ideally, windows should be washed twice a year, but it’s a task most people don’t look forward to. Part of what makes window washing such a chore is that homeowners insist on doing it with wadded-up paper towels or newspaper, spray cleaner, and a ton of elbow grease. At Perfectly Clear Window Washing, we know that it’s easier and more effective to clean glass with a squeegee and the right cleaning solution. The techniques aren’t complicated, and the results may surprise you. “I don’t know of anything that can transform living spaces so well. You don’t know what you’re missing until you do the windows,” says Bommhardt. With our residential window cleaning, we start with a strip applicator, it soaks up a lot of soapy water and knocks dirt loose without scratching the glassAnd we work with an oversized bucket so the solution doesn’t become too dirty during the job. Starting with warm water also helps to knock off the dirt and grease. But if hot water isn’t available at the time of our visit, we can manage with cold, it just takes a little longer to get each window clean. Next step is to wipe clean with a squeegee which cleans the glass quickly and cleanly. Lastly a lint-free cloth around the edges to cleanup the frame gives an excellent job in a short time. Before starting on the window pane we often need to clean all the screens with a soft brush and sweep out leaves and pollen around the window frame. We will also be checking for any damage to the window frames in case they need attention. 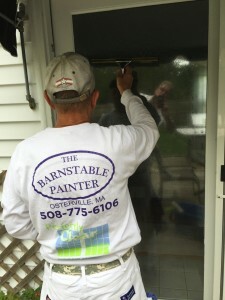 Painted wooden window frames can degrade very quickly once rain water starts to get into the joints and a little maintenance like sealing up the joints with caulking and a coat of paint can save costly damage and subsequent replacement. Contact us today if you want a high quality residential window cleaning service.